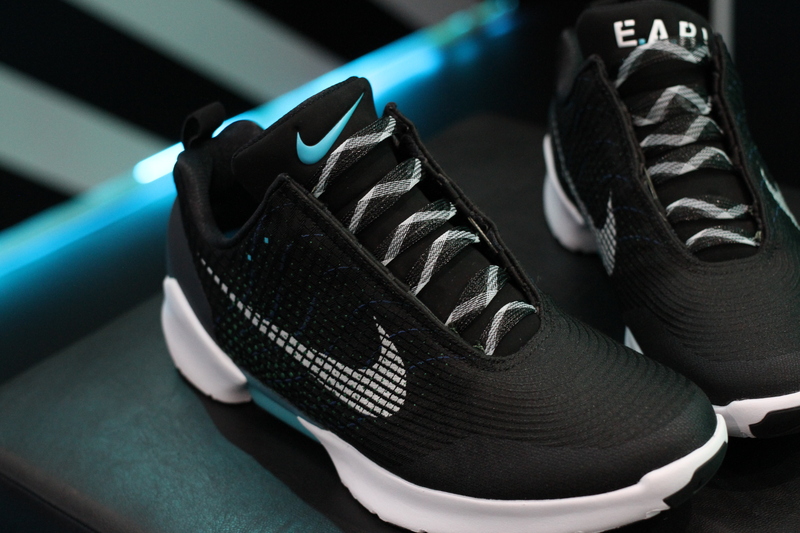 At $720, Version 1.0 of Nike’s HyperAdapt self-tying shoes are for sneakerheads. They’re flashy and pricey, and while Nike isn’t revealing exact numbers, it’s clear that they’re an extremely limited edition. But one thing they’re not, according to Tiffany Beers, is a gimmick. The Nike senior innovator has been working on the project for more than a decade now. 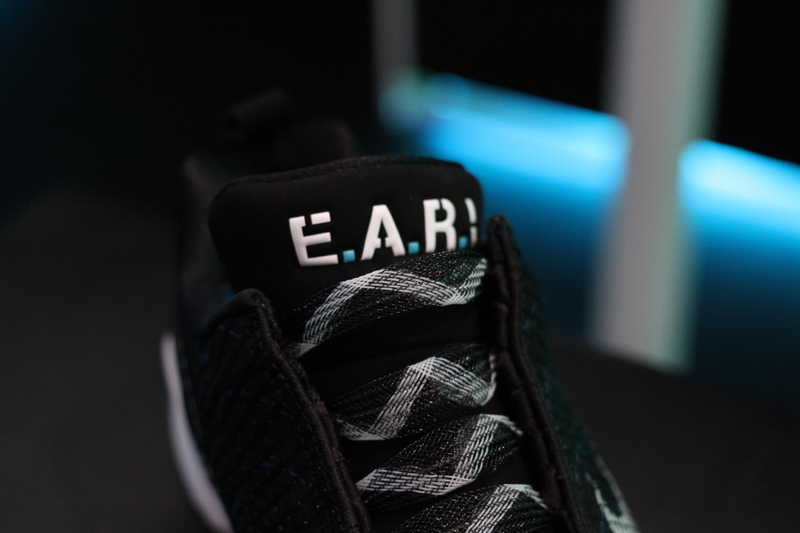 The project began life as a sketch and concept from legendary Air Jordan designer Tinker Hatfield 11 or so years back. The underlying technology finally made its debut in the Back to the Future-inspired Mags, which were limited to a mere 89 pairs exclusively available via auction and raffle. Once you get past the giant box, the most surprising part of the HyperAdapts is how comfortable they are. They’re a bit snug at first. Getting your foot in takes a bit of maneuvering and some tugging at the loop on the heel. Once on, stand up and the heel sensor will trigger the system, going to work with an audible whir, snugly encasing the foot. That noise is, of course, the sound of mechanical elements doing their job, but it’s also a nice feature. Because, let’s face it, if you’re spending more than $700 on a pair of self-lacing shoes, you probably want anyone within earshot to know. The large blue battery light on the sole and the five tri-color LEDs on the rear also go a ways toward setting the scene. Each shoe also sports a pair of small blue buttons on the outside for tightening and loosening accordingly. The buttons are actually a bit tricky to get a handle on, as they’re located beneath the fabric and don’t line up with the dots. It’s a small quibble — the mechanism works great. And yeah, there’s a way to reboot the shoes if things go sideways. The shoes fit well, but they’re, perhaps unsurprisingly, on the heavy side. Beers says Nike tried to counteract the weight of the system located in the midfoot sole by constructing the top out of the company’s proprietary lightweight Flyweave material, but there’s only so much you can do when incorporating a whole mechanical system and a battery designed to last a month on a charge (because how often do really want to recharge a pair of shoes?). For the moment, the HyperAdapt are firmly in the realm of the early adopter and the sneaker-obsessed. However, there’s some intriguing potential as the pricing and weight come down in future iterations. Beers cites, among other cases, wearers who might have difficulty tying their shoes, be they children or elderly or disabled. Of course, that sort of mainstream usage will require that Nike drop a couple of zeros from the price tag. 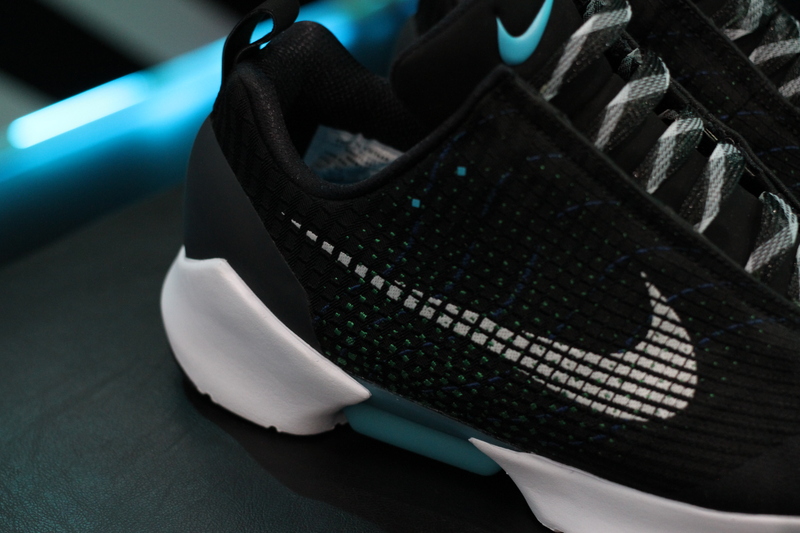 But for those who’ve got the money to spend, the HyperAdapts go live at retail this week.